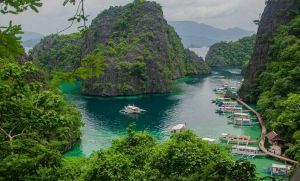 The Philippines is known for its world-class beach resorts, magnificent dive sites, enchanting eco-tourism and beautiful islands. Now, there’s another natural attraction that’s making waves in the country—its breathtaking surfing destinations. Among these surfing destination is La Union. It has been transformed into a surfing paradise that offers a complete surfing lifestyle. La Union is flanked by Ilocos Norte and Ilocos Sur in the North and Pangasinan in the south. 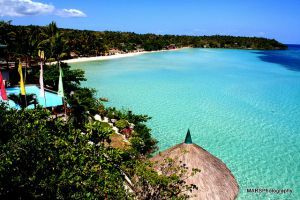 What used to be a jump off point for Vigan, Ilocos Sur or the Hundred Islands of Pangasinan, it is now one of the chosen destinations of the north. La Union is one of the top surfing site choice of Pro Surfers in the country. This weekend Surfing Philippines will celebrate its first National Go SurfPH Weekend at the La Union Surf Club. 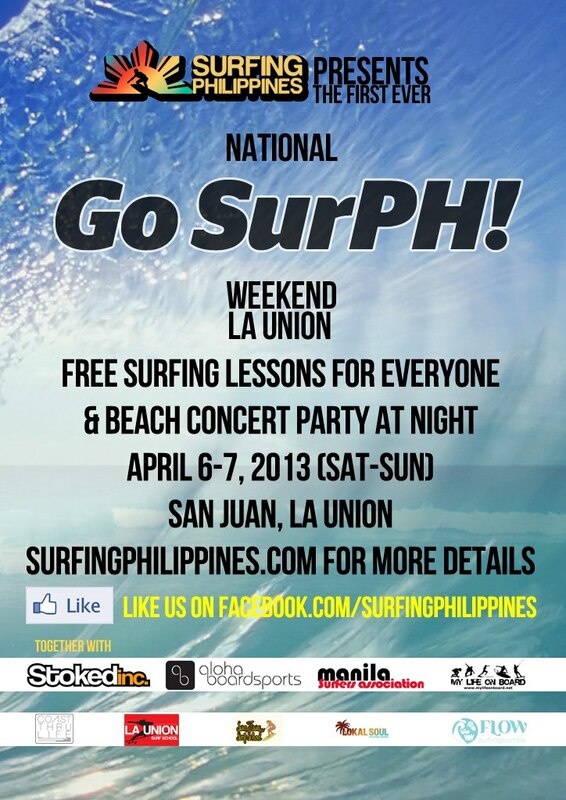 To celebrate the event, Go SurfPH will be conducting a Nationwide FREE Surf Lessons this April 6-7 (Sat-Sun). Go SurfPH objective is to promote their love for the sport nationwide. The event will be attended by Surfing Philippines Ambassadors Actor Jericho Rosales,Pro Surfer Luke Landrigan, Actress Mylene Dizon, Pro Surfer Lorraine Lapus, Actor Fabio Ide and TV5 Gerard Sison are putting on a weekend of celebration in La Union this coming April 6-7 (Sat-Sun). La Union definitely would be bustling with surfers both beginners and pro-surfers this weekend. Weekend activities includes Free surfing lessons for everyone followed by a beach concert & party. Among the co-organizers of the event are StokedInc. & Aloha Boardsports. It’s summer so let’s support Philippine Surfing in La Union.